A classic Shelby Cobra would be one of the coolest cars you can own. 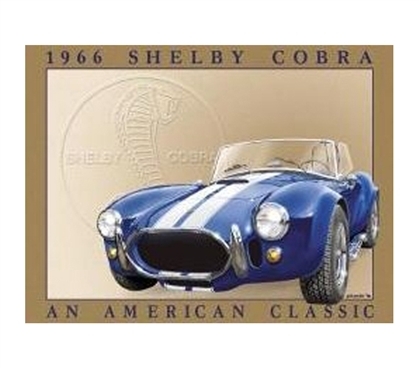 And while you should pursue your dreams while in college, sometimes it's just better to settle for college items like this Shelby Cobra Tin Sign. Wall decorations for dorms aren't mere dorm accessories. They're really college must-haves when you consider how much they add to your overall college decor and that they're unique items. You wouldn't head off to college without an XL twin comforter or even laundry bags for college students, so why would you not also include some wall decor for dorms? They're a category of items for dorms that are necessary for college and dorm life, so don't neglect these dorm essentials!